Twenty-five miles north of Manhattan lies the site of the first lighthouse built on the Hudson River, the Stony Point Lighthouse. 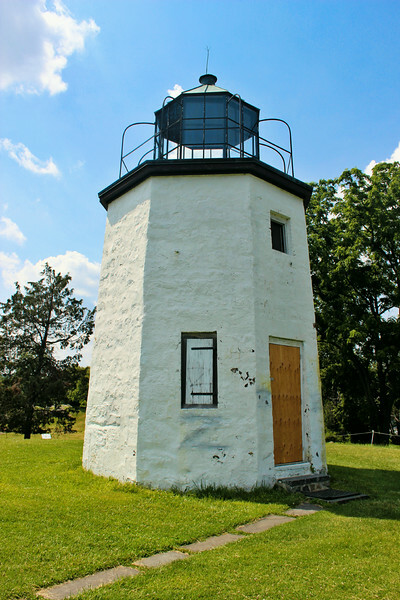 Located at the end of a small peninsula on the west side of the river, the lighthouse is now part of the Stony Point Battlefield State Historic Site and is easily accessible to today’s lighthouse buffs. As the Erie Canal neared completion in the 1820’s Congress appropriated $4,500 in 1824 to build the first lighthouse on the Hudson River to address the anticipated increase in marine traffic.